The Joint Dialogue Committee between Iraq and the Gulf Cooperation Council (GCC) has begun discussing the general framework of its comprehensive implementation plan for the years 2018-2023, while the Secretary-General of the Council of Ministers said Iraq has made progress in developing its international relations. 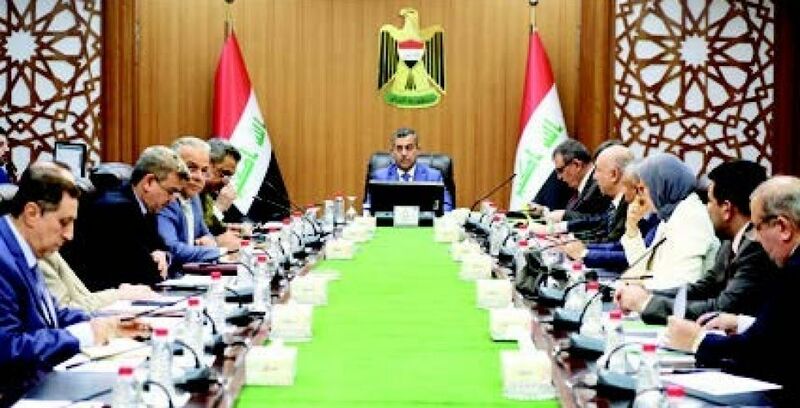 "The joint strategic dialogue committee between Iraq and the Gulf Cooperation Council (GCC) discussed the general framework of its comprehensive executive plan for the years 2018-2023 in preparation for submission to the Council of Ministers for approval," a statement issued by the General Secretariat of the Council of Ministers said. The Secretary-General of the Council of Ministers Mehdi Al-Alaq, while presiding over the meeting of the Committee, that "the strategic dialogue is a key factor in the development of prospects for cooperation in the areas of joint work and strengthen the working ties and cooperation between Iraq and the countries of the region, especially after the great half that Iraq has undertaken in the development of regional and international relations, , Adding "the importance of including in the plan cooperation in the areas of achieving sustainable development and the environment." The committee reviewed the comments of the sectoral parties on the draft general framework of the plan and its alignment with the GCC plan on activating sectoral cooperation in the fields of politics, security, economy, investment, education, culture, youth, sports, industry, transport and energy, as well as agriculture, tourism and other sectors. In a statement to the Secretariat, Al-Alak headed a meeting to automate the registration of companies in support of the private sector in the presence of representatives of the Department of Economy of the US Embassy, ​​the United States Unicad, the registration department of the Iraqi Ministry of Commerce, Baghdad Chamber of Commerce and the Federation of Chambers of Commerce, And the Secretariat. The Iraqi side praised the experience, adding that "the one-window program is an important indicator in the process of upgrading the performance of relevant Iraqi institutions active in investing and moving the private sector in Iraq," and raised some remarks "on the verification of the documents filed and determinants of the choice of the name of the company and related Iraqi laws" .